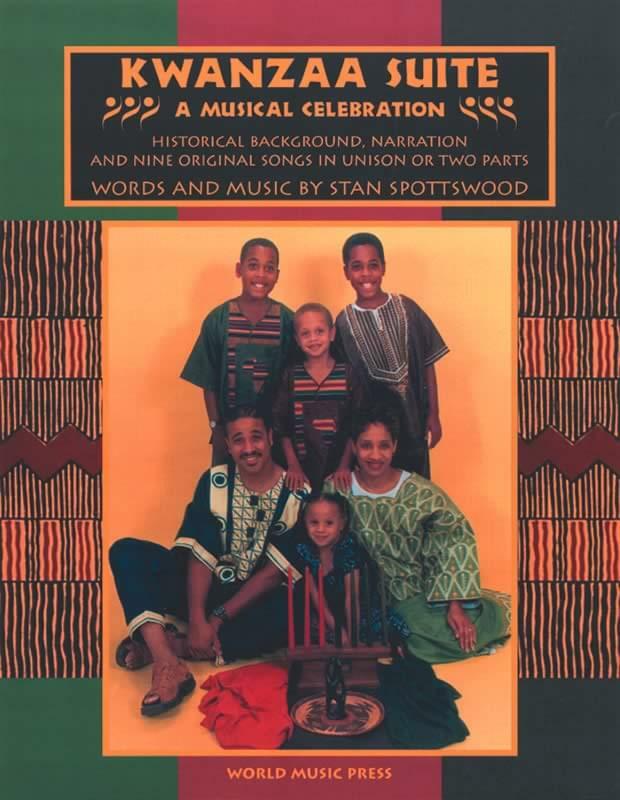 Stan Spottswood, a dynamic music educator and choral director, composer and gospel pianist, has composed nine memorable songs in a variety of styles that shine a musical light on the history and meaning of Kwanzaa. Perfect for winter concerts or Kwanzaa celebrations in school, home or community settings, these songs may be sung individually or, with the included narration, as a complete 35-minute program. Part A: A complete performance featuring members of the Appalachian Children's Choir and a combo led by Stan Spottswood. Two files - 38.4MB and 42.9MB. Includes all tracks from the CD and 75-page PDF. Downloadable component has 2 files - 38.4MB and 42.9MB. Includes all tracks from the CD and 75-page PDF.